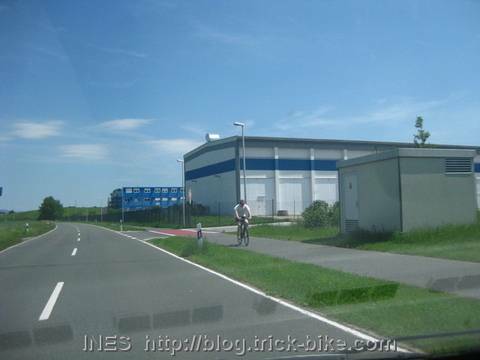 Driving a different route than usual I saw a new site of Adidas built in the North of Herzogenaurach. Both Adidas and Puma are both expanding and building new sites in their town of origin. The nice thing is that there was a bicycle lane even out here in the countryside. 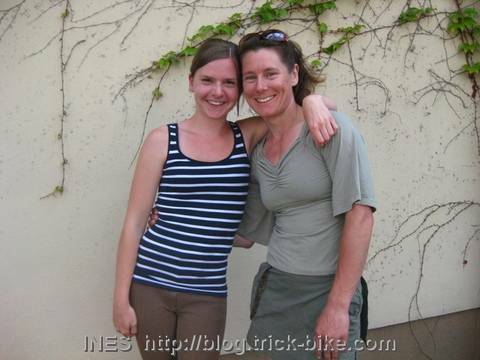 I went to to meet the artistic cyclists Karina, Paulina and Inga. There were practicing for the upcoming Bavarian Championships. They need to do well in order to qualify for the German Cup. Karina for fun invented a new figure that looks classy. But she did not hand it in to the actual organization. I was also training. 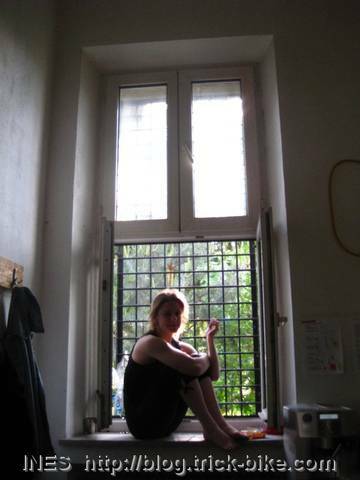 It was nice to be on a good fast wooden floor again. I was happy that I still was able to do the handstand on my bike. 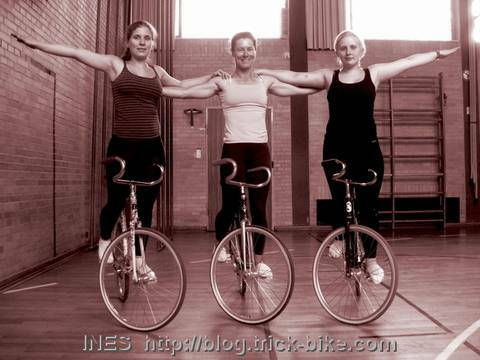 Then we took a picture together in the old school style on our fixed gear trick bicycles. Inga does not ride anymore so we took a normal picture outside. Then I went to the Zirkuslabor started by Tatjana Bilenko and Fritz Mack whom I used to perform together with for a few years (about 1996 to 1999) in the performing arts community show called “Vorsicht Variete”. Today they were doing some acro-balance. 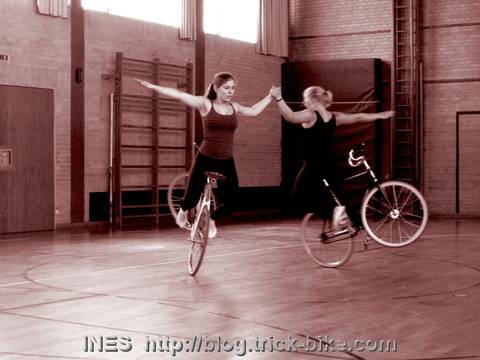 Gerhard Pfeiffer and I were also practicing some partner acrobatic. We took a video that I uploaded only to facebook. 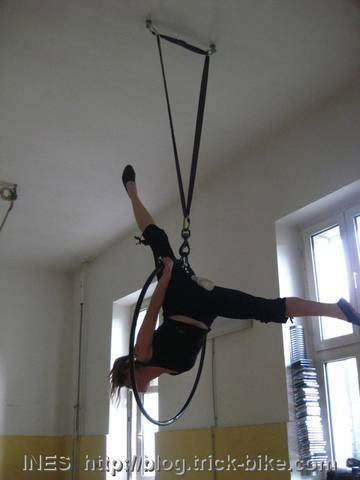 Tatjana performs on the trapeze and other aerial things like this ring. So she was practicing that too. I hope next time I can see them perform, because they have been doing it as a full time living for quite some years now. That last time I saw Fritz he was still having his corporate job. Then I drove home to have some delicious barbecue in my parent’s garden. 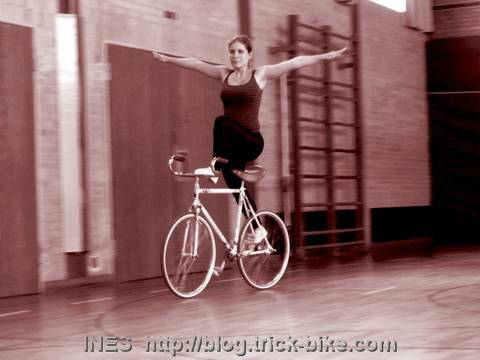 This entry was posted on Sonntag, Juni 6th, 2010 at 20:40 and is filed under Fixed Gear, Germany, Juggling, Performers. You can follow any responses to this entry through the RSS 2.0 feed. Both comments and pings are currently closed.